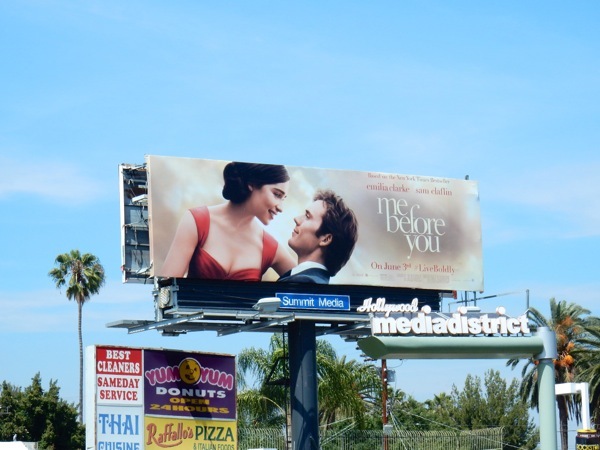 In these cold and cynical times it's nice to know that Hollywoodland hasn't given up entirely on a good old-fashioned romance, with the latest offering at the cinema being Me Before You. 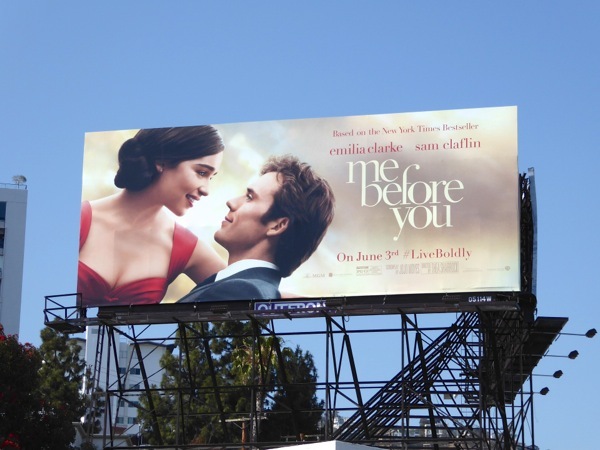 Based on the 2012 book of the same name by Jojo Moyes, the film stars Games of Thrones Emilia Clarke as the kind, optimistic and bumbling small-town girl who plays caretaker to The Hunger Games Sam Claflin, a young London business hotshot who's been paralyzed from the neck down in an accident leaving him a depressed and sarcastic shadow of his former self in his wheelchair. 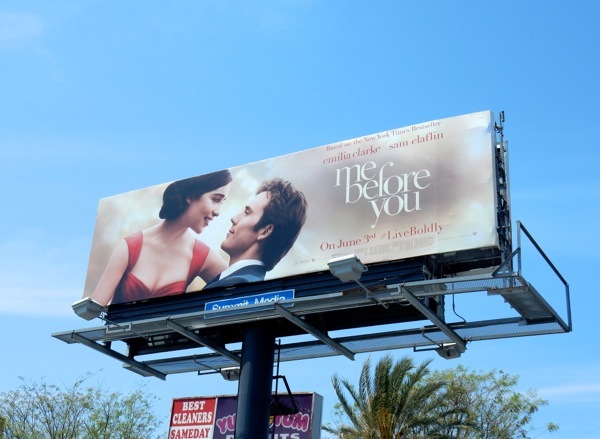 We're sure it won't take long for opposites to attract and for the sparks to start flying between these two beautiful young things. 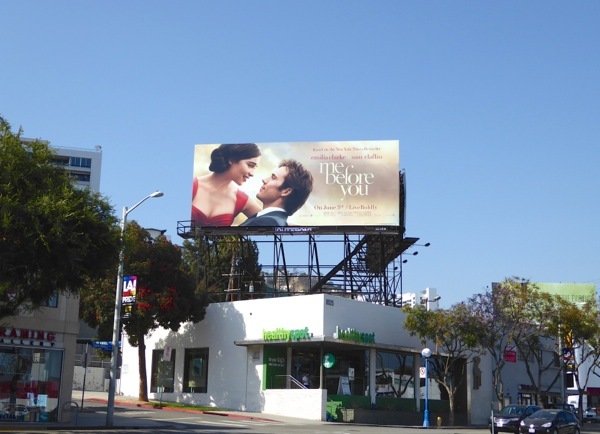 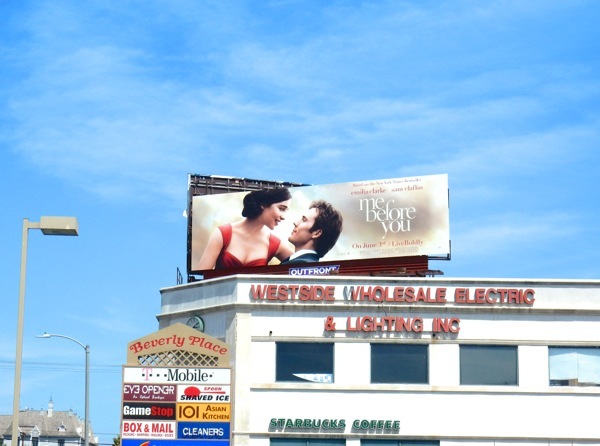 These romantic movie billboards for Me Before You were snapped high above Beverly Boulevard and Highland Avenue on May 11, plus along Santa Monica Boulevard in West Hollywood on May 30 and above Robertson Boulevard on June 2, 2016. 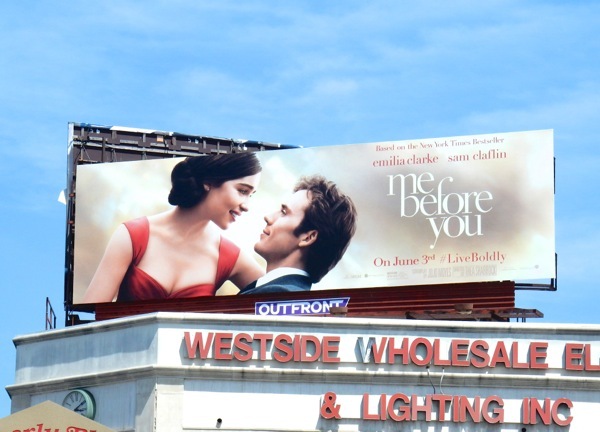 Fans of rising star Emilia Clarke can also check her out in these Game of Throne billboards and Terminator Genisys movie billboards. 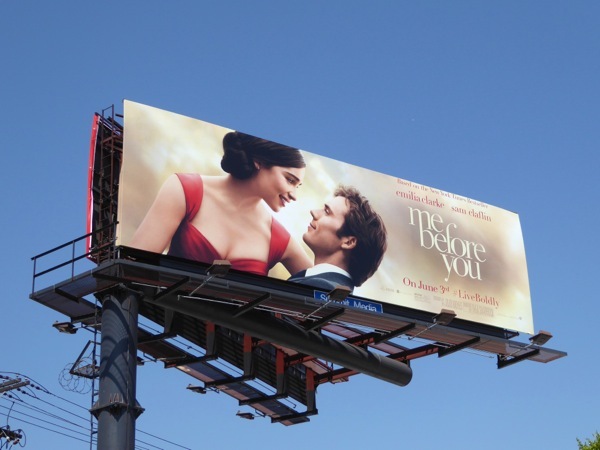 Get ready to grab a hanky or two, as Daily Billboard suspects there may be more than a few tears shed before the end of the film (you can always blame it on allergies).